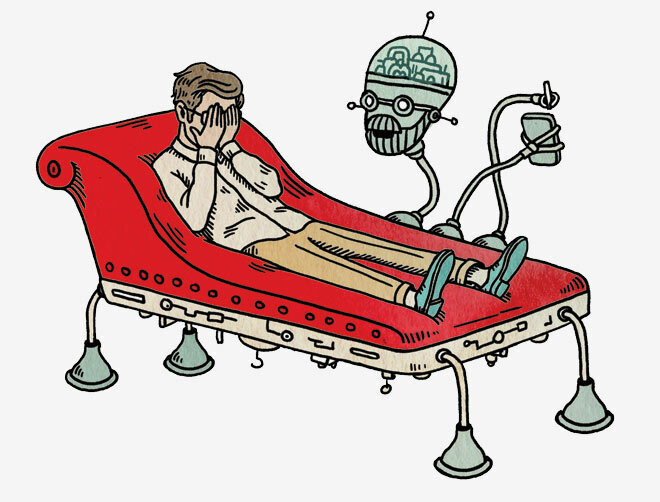 Technology that can identify what you’re feeling seems like the stuff or science fiction. Human emotion in incredibly complex, so complex there is still no one solid definition of what emotion is. But that has not deterred the creators of RealSense technology in creating cameras which track and recognize human facial expression and extrapolate affective information. This tech is currently being developed to create more integrative and experiential game play. If a game can tell you’re frustrated, maybe it will offer you a hint or tutorial. If it senses you’re happy, it will give you more of what makes you happy. While I think this technology could certainly make for some interesting innovations in game design, I also see it as a possible boon for mental health professionals. As digital mental health continues to grow in popularity, a camera which can detect emotion could be exceedingly helpful – having a second set of eyes, so to speak, in perceiving and interpreting the affective state of a patient. Using science as a means of identifying emotions is nothing new, such as using fMRIs to track emotion location centers in the brain. But for now, I am not too worried about my job being outsourced to a robot psychologist or fMRI machine. When Siri accurately understands what I mean to say and gives me relevant information, maybe then I’ll start looking into a new career field. Article What Happens When Computers Can Tell How We’re Feeling?